If you are interested in introducing an amphibian at home, a frog is one of the best choices to consider. While it may scare some people as it jumps in the wild, in captivity, it can make a lovable and distinct pet. Should you decide you take care of a frog as a pet, the first thing that you have to do is to pick the right one. With this, if you are looking for frogs for sale near me, keep on reading and we’ll help you decide where to get one. For sure, many people interested in taking care of a frog will initially be concerned about the cost of ownership. While you can find frogs in the wild and take care of it in a captive habitat, it is best to buy from a reliable pet store. This way, you can be assured that it is in its tip-top health condition. There are different species of frogs, and this will have an impact on their price. Typically, the rare ones will be expensive. The average cost for common pet frogs will be only about $10 each. On the other hand, if you opt to take care of a rare breed, it can go as much as $90. If you are looking for a cheap pet frog with minimal care requirements, two of the best choices are White Treefrog and African dwarf frog. If you are looking for exotic species, which can cost $60 to $70 on average, Black Auratus Dart frog and Red-Eyed Treefrog will be excellent picks. Aside from the cost of the actual frog, however, you will also need to think of everything that you have to buy along with it, including those that will be mentioned in the last section of this guide. For instance, a pack of crickets will be approximately $17, which is already good for three months. A basic tank set-up with the required equipment can cost as much as $250. 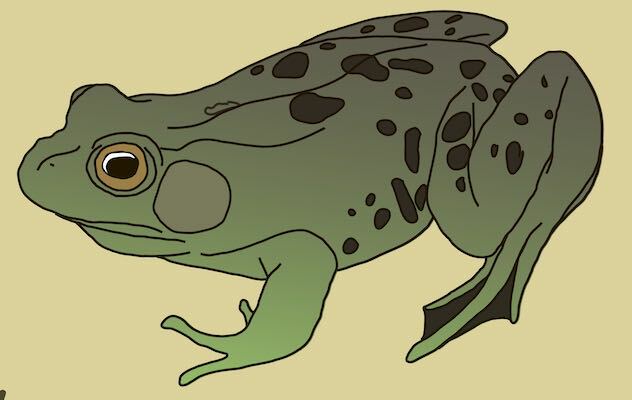 To make the right decision on which to choose from the countless species of frogs, this section briefly tackles some of the most important things to keep in mind. Legality: You have to consider the legality of frog ownership from where you are. Be familiar with the local laws. Especially if the frog is endangered, chances are, owning it can be illegal. Cost: As a beginner in frogs, you should start with one that is cheap. Once you have mastered the fundamentals, this is when you can move to rarer species. Care and Maintenance: Like what has been mentioned above, your first pet frog should require minimal effort for care and maintenance. This is especially true for busy individuals without the luxury of time to take care of their pet. Handleability: Basically, what this means is that you should choose one that is easy to handle. It should not be aggressive, and more importantly, the bite should not be poisonous. Otherwise, your life will be at risk. Noise: One of the most annoying things about frogs is that they can make a lot of noise, especially in the wild. In captivity, you should opt for one that stays quiet most the time so that it won’t end up being a disturbance. It is not only the frog itself that can be bought from a pet shop. You can also buy other stuff, including those that are briefly mentioned below. The enclosure should have the right size depending on the frog that will be housed inside. If you are taking care of active frog species, the tank should be big enough to allow freedom of movement, especially if you intend to house more than one frog. One of the best things about this product is the front window ventilation, a patented feature that provides excellent air circulation to the frogs. Because it is tall, this is for arboreal frogs or for those that love to climb. Be sure to decorate it as well with products that will mimic the natural environment of the frogs while providing them with means to climb and move around. There are also dual doors that are escape-proof, so you do not have to worry about chasing your pet when it accidentally escapes. The secret to maintaining a healthy frog is to provide it with a nutritious and varied diet. Especially in the case of the active frogs, they need to have live insects as a part of their daily diet. Among others, crickets are well-loved. If you are looking for commercial food to incorporate into the diet of your pet frog, this can prove to be an exceptional choice. It exists in the form of pellets, but it has the texture of a real frog, which makes it easy to trick the pet. It also comes with a uniquely balanced formula to provide the dietary needs of your pet. To add, this is a favorite amongst frog pet owners because of the no-touch feeding. It is a sponge-like stick that can be fed directly to the frog without the need for touching. 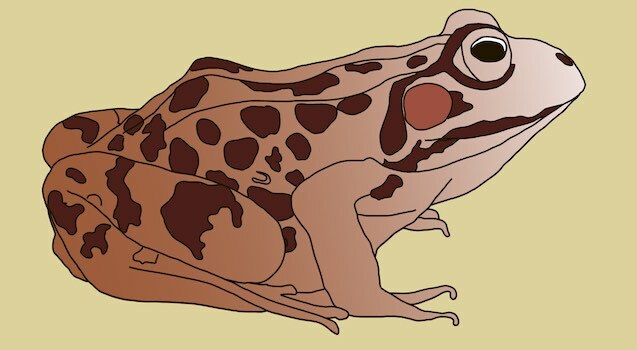 Among others, one of the most important is for the frog to receive the right amount of calcium. Otherwise, it can suffer from an onslaught of health problems, including metabolic bone disease. 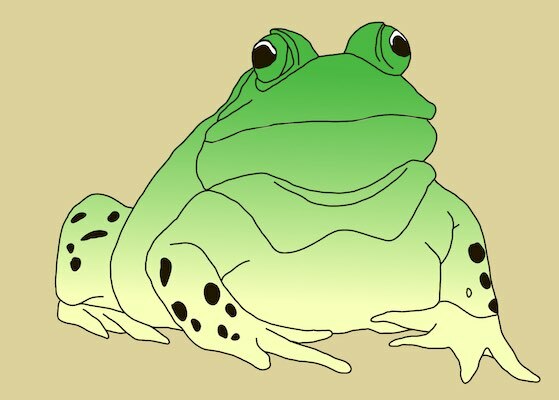 To be effectively absorbed by the frog, the calcium supplement should also come with Vitamin D3. It is used in dusting their food rather than direct ingestion. The manufacturer markets this as their all-in-one calcium powder, making it a great addition to the diet of your pet frog. It has vitamins, trace minerals, and carotenoids. It can be used on its own for dusting the food of the frog and without the need for supplementation of any other vitamin. To use the powder properly, you have to put the insects in a bag, add the powder, shake lightly, and feed them to your pet frog. Decorating the tank is necessary to allow it to mimic the conditions of the natural environment. Among others, it will help if you can add foliage and vines. The décor should also provide them with a hiding spot and a resting place. Choose decors that combine both form and function. This is not only a realistic décor, but it is also non-toxic, providing you with an assurance that it won’t end up poisoning your pet frog. The main material used is polyethylene, which is not only long lasting but also easy to clean. As a bonus, there are already suction cups that are included, making it easy for you to have it affixed in the tank. Add these vines to a terrarium if you want to recreate a forest-like environment that frogs will love. Another item that you can buy in a pet shop for your frog is the substrate, which will serve as the bedding for the tank. Among others, coconut substrate is the most popular, basically because it is affordable. Whether you need to maintain a dry or damp environment, this will be an excellent choice for a terrarium bedding. The humidity retention is superior, making it easier to maintain the right environmental condition that your pet frog will love. It also has the ability to naturally absorb odor, preventing the enclosure from having a foul smell. If you go online and type “frogs for sale near me”, you will surely be confronted with a long list of alternatives. Nonetheless, you should not see this as an excuse to decide in haste. Rather, you need to be careful to have an assurance that you will have a healthy pet frog that does not require complicated care and maintenance.